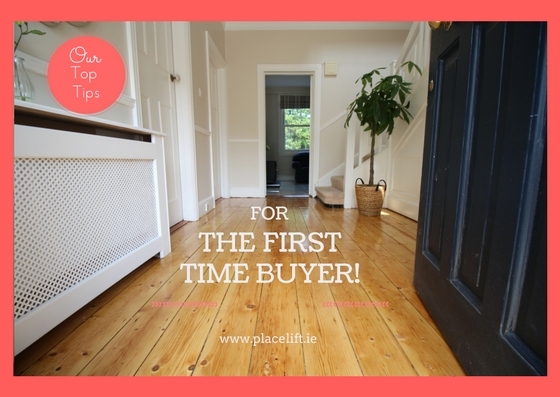 Getting a foot on the property ladder or moving was not an option for most over the past number of years’; however fast forward to today and what with the rise in property prices and the sheer lack of supply, the pressure is most certainly ON – particularly for the first time buyer. Deciding to buy is a big decision and is one that you should not take lightly as this may be the biggest purchase of your life! You may enjoy trawling through the property finders in search of your dream home, however it is vital you take time to do your homework and look at the bigger picture before taking that leap. Even though the banks have simplified the mortgage process, you need to consider other costs such as mortgage fees, valuation fee’s, survey and legal fees, removal costs, house repairs along with the expense of fitting out the property to name just a few. Once you have secured your mortgage, you should set about searching for your ideal property within your budget. You may be area specific, however, be sure that this location suits your modern day living requirements, your budget and will also cater for your future needs. Compile a wish list for your ideal home and try and prioritise these in order of most importance. While you may not have the option of some of these at least you can seach for properties on this basis. If the house you find is missing a few or many of your key criteria, be sure that this sits well with you - but try and be realistic at the same time! Use the web to provide you with a wealth of information including the history of the vicinity (positive/negative) along with a valuable insight into property pricing - past and current. Don't view the property alone, an extra pair of eyes is more likely to spot something you might otherwise miss. When viewing, ask your agent plenty of questions and request important answers in writing. Ideally bring a written check list to work through with your agent. Check with your agent first, but taking photographs will be of great benefit when considering this property later on. View at various times of the day as daylight will help you notice any obvious deal breakers but also return in the morning and evening time to get a feel for the surrounding neighbours and neighbourhood. Observe neighbouring properties and see if you can get chatting to some of the neighbours who may give you an honest assessment of the area and this will also give you a genuine feel for them. Consider the resale potential and also if there is room to improve with perhaps the option of an extension, attic or garage conversion. Give careful consideration to the garden, is it big enough, is it to big to maintain? Check the immediate area surrounding the property to see if any existing or some future development could impact on this property? Check if there is sufficient drainage in the area, are you at risk of flooding. Is there on/off street parking? Compare day and evening for off street parking it may be considerably different. What is the traffic situation in the area? Are there noisy roads, train tracks nearby or is it under a flight path? How near is it to a reliable public transport system? How far are you from the nearest hospital, shop or local schools? Consider what insurance, property tax and water premiums might apply to you. Take the building energy rating seriously and consider how this could be improved upon - but at what cost. High speed broadband and strong phone signals are vital for modern day living, so be sure to check both by bringing along your mobile device to test by making a call while walking around the property and browsing the web. On viewing a property, the savvy buyer should follow a detailed checklist on what exactly to look out for – which I hope to bring to you next week! In the meantime, don't get disheartened, do your homework and happy house hunting! Timber decking maintenance, for your home!